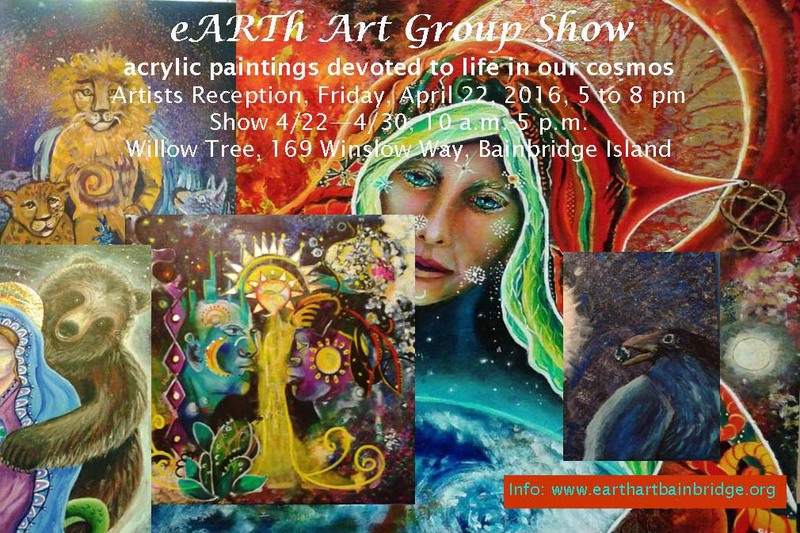 The show opens on Friday April 22nd, Earth Day, at 10 a.m., with an Artists’ Opening Reception that evening from 5 pm to 8 pm. Come early and stay late because many of the artists will speak about their process and perspectives. Willow Tree hours: Mon – Friday 10 a.m. to 6 pm, Saturday 10 a.m. to 5:30, Sunday noon to 4 pm. Show ends April 30th.